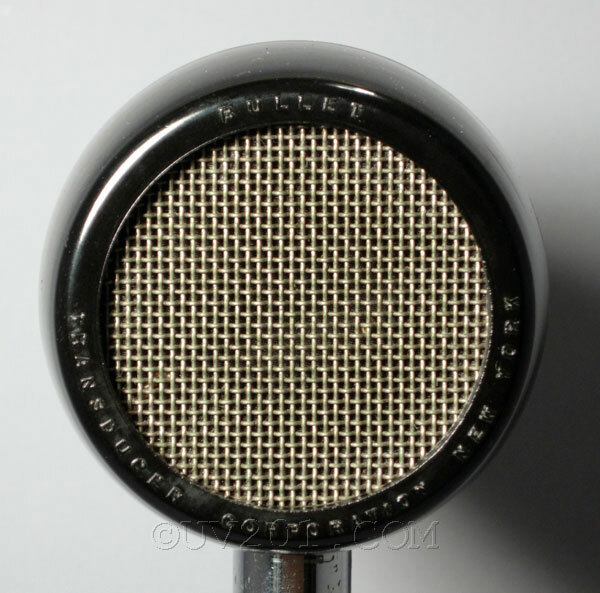 This unusual dynamic microphone is a model TR-6 made by the Transducer Corporation of New York. 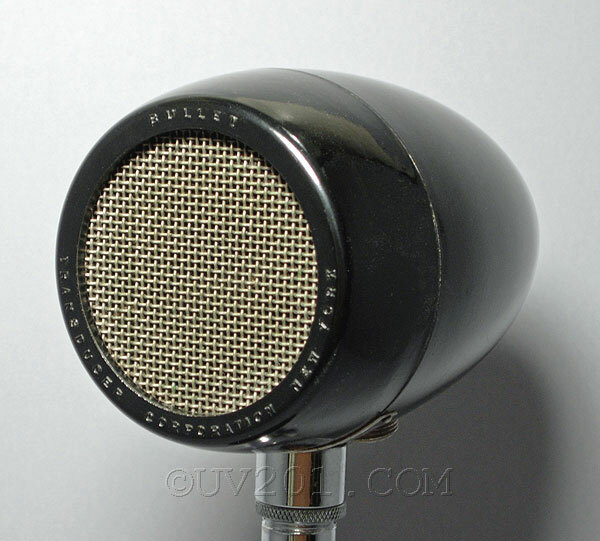 Called the "Bullet", it is a relatively large, heavy unit, about 5 inches long and 3 in diameter, and it weighs about 2 lbs. It sold for about $23 in 1940. 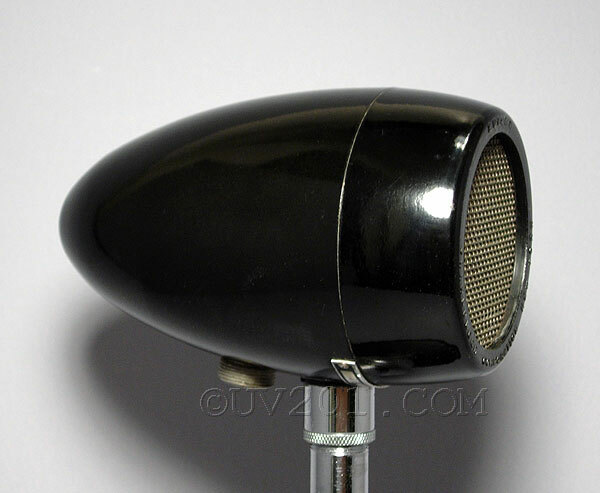 The shell is black Bakelite. This is a mid-sized model. There was also a larger model that was almost 7 inches long and 4 inches in diameter. 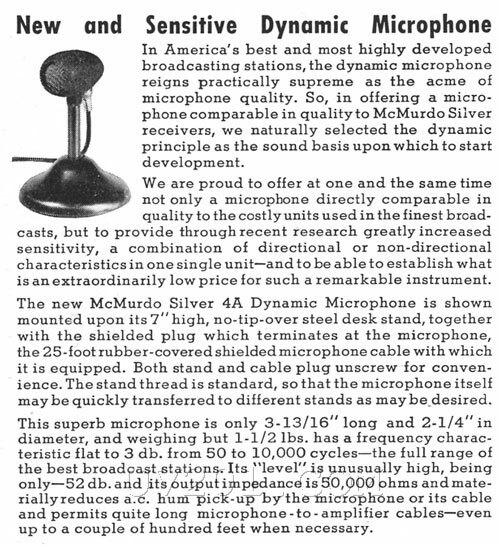 This product announcement appeared in the October, 1939 issue of the trade publication, "Radio Today". This advertisement appeared in the October, 1939 issue of "Radio and Television Today". This is a portion of a McMurdo Silver advertisement that appeared in the March, 1938 issue of "Radio Craft" magazine. 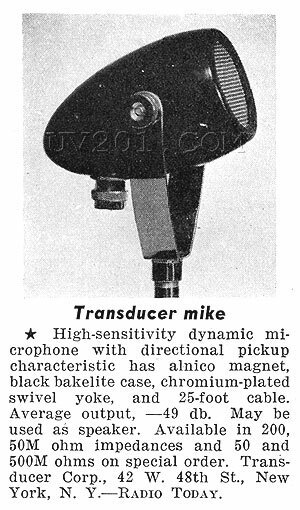 In this case, they sold the microphone under their own name, but there is no doubt that it was a Transducer Corporation product.